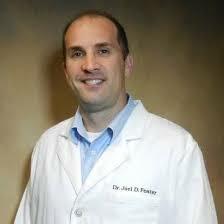 AtlasFAI welcomes new office and doctor on board to serve the Lee's Summit area. LEES SUMMIT, Mo. - June 29, 2018 - PRLog -- Let us introduce Dr. Joel D. Foster from our Lees Summit center! Dr. Foster, DPM, FACFAS is a Kansas City native who has been practicing podiatric medicine within the metro area since 1999. Board certified in foot surgery by the American Board of Foot and Ankle Surgery, Dr. Foster is licensed in podiatric medicine and surgery in both Missouri and Kansas and has been in private practice in Lee's Summit, MO since 2006. He graduated from Temple University School of Podiatric Medicine in Philadelphia, PA and completed his residency at Centerpoint Medical Center in Independence, MO, after completing his undergraduate studies at the University of Kansas. Dr. Foster has comprehensive training in a wide variety of surgical and non-surgical disciplines, including forefoot and rearfoot reconstruction, arthroscopy, diabetic wound care and limb salvage, management of peripheral vascular disease, lower extremity biomechanics, sports medicine, minimally invasive surgery, and nerve surgery. A former rugby player who played with American select sides after college, Dr. Foster enjoys spending time with his wife and three children, who keep him busy when he's not in the office. Dr. Foster is joining us as an Atlas Certified Center. He performs the HyProCure® procedure and provides podiatric care for all ages. He has a passion for treating all types of foot and ankle conditions. We're honored to have him join the AtlasFAI Family! His office is located at 6 NW Sycamore St Ste A in Lees Summit, MO; it's conveniently located just off Douglas St, two traffic stops south of St. Luke's Hospital and I-470 exit 9.